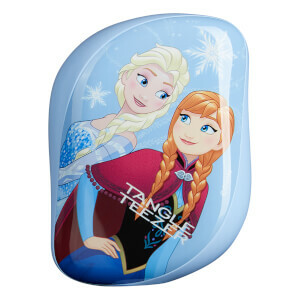 In its first collaboration with magical Disney, Tangle Teezer has treated its multi-award-winning detangling hairbrush, The Original, to a special edition glittery pink colour and a set of Disney princess stickers to customise your hairbrush with. The very first creation by Tangle Teezer inventor Shaun P, The Original banishes tangles, knots and helps prevent hair breakage. This is all possible thanks to its unique two-tiered system technology – the long teeth detangle and the short teeth smooth the hair cuticle for healthier-looking, glossy hair. Designed to glide through wet or dry hair of all types and textures with ease and speed, it's the perfect hairbrush for little princesses who dream of soft, shiny, tangle-free hair.